A Help (A Message of Encouragement for Your Journey): It is a blessed gift to know that the LORD is faithful. To know that He is consistently present and gracious and true. The LORD never wavers. He never shows Himself unreliable. He never goes back on His truth. He is faithful in a way that goes beyond man’s definition of the word. And isn’t that a comfort? Isn’t it a relief, moms, to know that you can count on the LORD who sees you, knows you, protects you, provides for you, and loves you? Isn’t it a great consolation to know that our Savior, Jesus Christ, is ever ready to save you and your family, no matter how many times or how many ways? He is our undeniable hope. Your Hope & Help Lesson for the Week: God is unchanging, unwavering, undeniable and undefeated. A Heart (A Prayer from My Heart to Yours): Oh LORD, How excellent is Your name in all the earth! It is an absolute delight to know and experience You. It is a wonder and a joy to praise You as Savior and King. We thank You for Your faithfulness, and we appreciate You for being consistent in our lives. Teach us how to be true to You in every way. And be with us as we daily learn to surrender our all into Your keeping. In the saving name of Jesus. Amen. 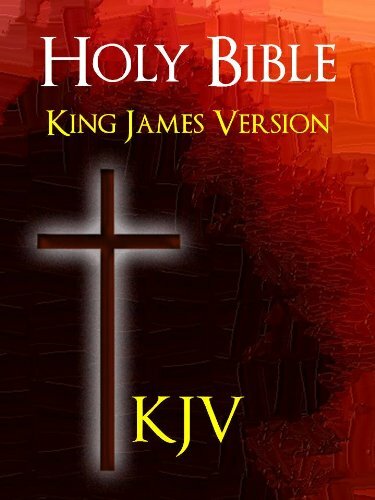 A Help (A Message of Encouragement for Your Journey): Every word written in the Bible is the inspired word of God. It was written so that we might learn of Him and His promises. It was written so that we might come to know His Truth and be saved. It was written so that we might experience the LORD, tasting of Him, partaking of Him, and being satisfied by Him. How often we forget to stop, quiet ourselves and hear or rather listen to His voice by way of His holy Word. There is a blessing in being still and knowing God and in remembering His words. There is a blessing in recalling His past deliverances in our lives and in reminding ourselves of His saving grace. And in those moments when we think the LORD seems to be quiet, we have to trust that He is still speaking and reflect on those things that we know and that have come to know as His unwavering truth. We must know and believe in our hearts that His inspired movement speaks even in what we view to be silence. 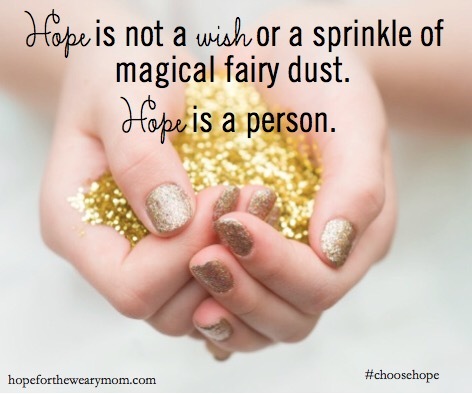 Your Hope & Help Lesson for the Week: God speaks in many ways. The more time we spend with Him and His inspired word, the more we become attuned to His voice and movement, whether in seeming silence or not. A Heart (A Prayer from My Heart to Yours): My LORD and dearest King, You are a gift and a blessing to all who would know You. Thank You for speaking and moving in the ways of love. It is my prayer this day that You would help each woman, mother, and saint be still and know You as the God who saves. May You speak in each life in a very special way and teach every individual what You would have her know. Point us to Your heart, keep us in Your grace, and carry us home at Your appointed time. In the saving name of Jesus. Amen. A Help (A Message of Encouragement for Your Journey): Struggling with a challenge, an illness, or any form of dis – ease can be difficult, to say the least. Over the course of time, it can take its toll on a life. For busy moms, this can be tremendously burdensome, especially when considering that we have to be on 100% of the time. We are expected to function optimally, without question and without fail. Sadly, many of us, in an effort to ease the struggle, resort to unhealthy practices or enter into unhealthy relationships that lead to a very unpretty state. But God, in His infinite wisdom, can take every unpretty place within us and around us and turn it into something beautiful. He can take the ashes of our lives, whether in the physical, the mental, the emotional, the relational, or the spiritual, and turn them into a wondrous beauty. He does this by way of Jesus Christ. All healing is in Him. Let us all unwaveringly agree to walk in wholeness and to be made well by the touch of the Savior. Your Hope & Help Lesson for the Week: No matter what you are struggling with or how long you have suffered in silence, the LORD can and will heal you. A Heart (A Prayer from My Heart to Yours): LORD, You are the God who sees and the God who knows all things. You are aware of the struggles, challenges, sufferings, and battles that each woman in this group is dealing with. You know where her dis -ease resides. You see where her ashes have marred her appearance. I come now asking You to heal her hurts, to remove her stains, and to beautify her unpretty places. Show her how to live both well and abundantly from this moment on. In the saving name of Jesus. Amen. 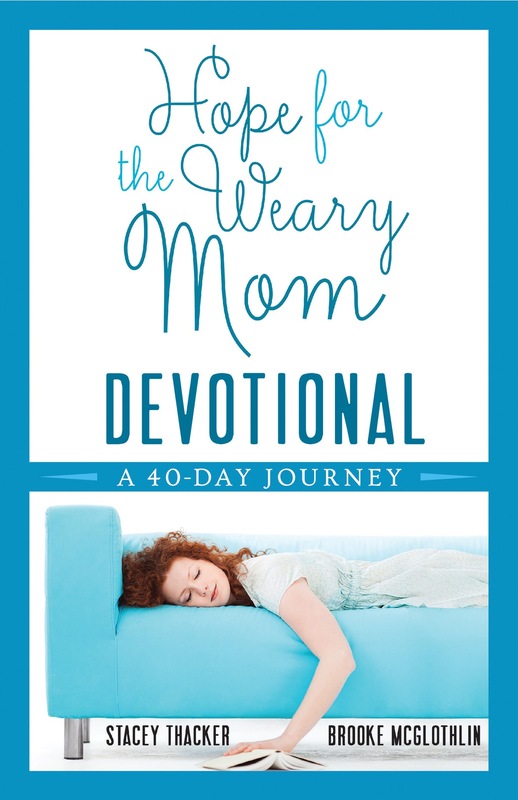 A Help (A Message of Encouragement for Your Journey): As mothers, we have a lot on us. We have to get things done. We have no time for fear, and yet fear seems to have time for many of us. Fear creeps in when we least expect it. It comes into our homes and hearts, wanting to take up residence. It wants to paralyze us, keeping us in an immobile state and hindering us from moving forward into the arms of God. It wants to burden us, weighing us down so heavily that we cannot remember to release our cares to the One who cares most. Finally, it wants to manipulate us, creating doubt and anxiety so that we question whether or not God will provide for us or even save us. But from this moment on, let us agree to confidently shout out a NO! in the face of fear and a YES! to God, believing, trusting and knowing that He will faithfully show Himself strong in our lives. 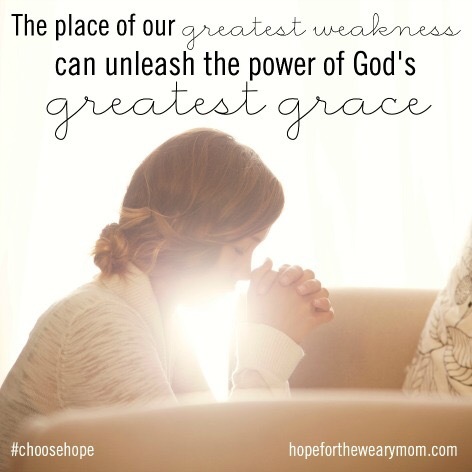 Your Hope & Help Lesson for the Week: God’s grace, power, and strength will always cover you. A Heart (A Prayer from My Heart to Yours): Father, You are indeed the Almighty. All power is in Your hands. I come before You humbly asking that You touch the heart, home, and life of every woman and/or mother in this group and beyond. Show Your love, grace, power and strength to each one. Replace the fear, the doubt, the anxiety and the unbelief that each person carries with Your truth. Help us all to remember to cling to Your Word and promises. In the saving name of Jesus. Amen.